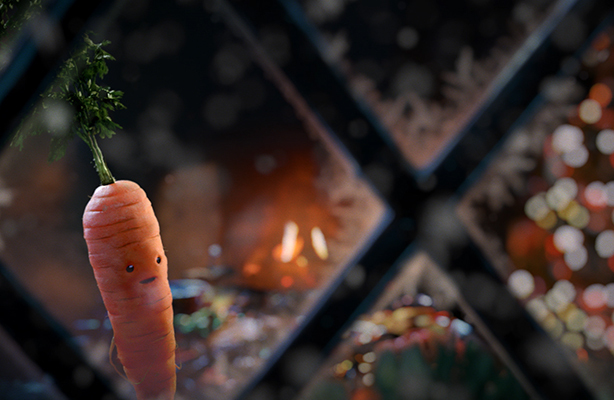 Aldi has lifted the lid on its Christmas campaign - revealing 'Kevin the Carrot', a vegetable with its own Twitter account, as the star of the show. The supermarket revealed the one-minute film on Facebook and YouTube channels shortly before midday yesterday (7 November), before airing last night on ITV. In less than 24 hours, the film had wracked up an impressive 786,000 views on Facebook, 18,000 likes and 8,000 shares, while Aldi’s YouTube channel showed 43,000 views of the film, at the time of publication. The film sees the Kevin the Carrot, all of three inches tall, embark on a perilous quest across the Christmas dinner table in a bid to meet Santa. The film is narrated by Harry Potter actor Jim Broadbent and features the John Williams’ Home Alone soundtrack. Aldi seeded the campaign by setting up Kevin the Carrot with his own Twitter account, currently with more than 400 followers and teasers featuring a lone carrot and the verse, 'Legends aren’t born, they’re grown’'. As part of its campaign, Aldi will sell a limited edition Kevin the Carrot soft toy later this month with all profits going to its charity partner, Barnardo’s. Commenting on the new campaign, Chris McCafferty (pictured above), founder of Kaper and a member of PRWeek’s Christmas campaign panel, said: "Well done to Aldi for a honey-glazed serving of Christmas creativity which brings a smile. How talkable is it? As my kids seem to be obsessed with any cute advertising character, I can see them chatting to Kevin the Carrot on the end of their forks. I’m not convinced how shareable it is. For me, it’s a smile and a nod, not a laugh and a share." 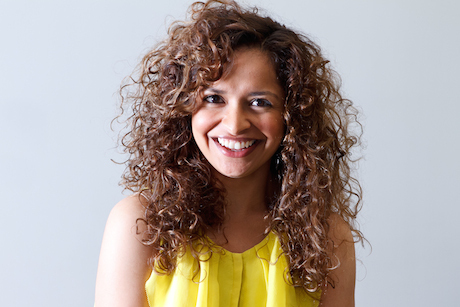 For Misha Dhanak (above), co-founder of The Romans and PRWeek Christmas campaign panellist, Aldi’s campaign was "formulaic" but it had got people talking. She said: "Where Aldi has excelled is in creating intrigue and anticipation in little Kevin. Last year they parodied John Lewis in a reactive and nimble way and this year, they have re-directed the John Lewis hype on to themselves with simple PR tools like a cryptic media mailer. Journalists actually tweeted about being sent a carrot. Not revealing your brand and waiting to see what occurs takes a brave client, but when the general public starts discussing the typeface of your hashtag to try and guess who you are, you are on to something." 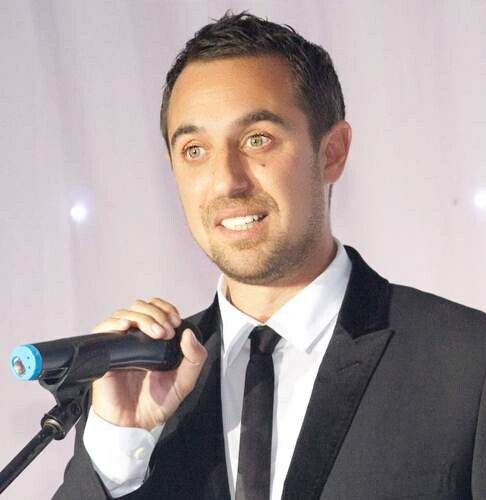 Fellow Christmas campaign panellist, Andrew Bloch (above), founder of Frank, said: "It’s the first time Aldi has embraced the storytelling technique that has proved popular among its rivals. Setting up an official Twitter account for the central character is another nod to the approach used successfully by John Lewis and looks to be a savvy move given the amount of media attention and engagement it is currently receiving." Last year, Aldi decided on a guerrilla Christmas campaign which parodied John Lewis’ ‘Man on the Moon’. Dhanak said Aldi was now building on last year’s success. She added: "This year’s campaign feels like a build from [last year]. It’s hard to compete with the anticipation of the annual John Lewis campaign, but Aldi has done just that by playing with that hype whilst demonstrating the range of produce they have on offer." McCafferty said Aldi was right to tell its own story rather than resort to parody again. He continued: "Aldi has outgrown a John Lewis parody and is now a powerhouse brand in its own right. It’s entirely right it’s thrown its veg in the ring, so to speak, and while it may not claim top spot in year one, it’s in the game." Bloch added: "The reference to last year's John Lewis Man on the Moon ad is classic challenger brand marketing, typical of Aldi's cheeky and confident approach to communication." According to Brandwatch, there were nearly 400 tweets about the Aldi campaign yesterday, of which 93 per cent were positive in sentiment.